Over/Under: Under 154.5 at 1.90 Bet Now! This will be the first ever meeting of these two teams so there will be a bit of history made in Germany this Thursday night. The trip to Germany will hold no fear for the Israeli side though as they hold a 8-1 record on German soil, and they’ll be determined to maintain this position of strength over German opponents. 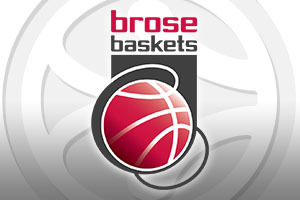 The hosts come into this game with a 1-2 record and this game represents a big chance to move upwards in Group D. It won’t be easy but Brose Baskets knew that this campaign required a step-up in form and play. With players like Nikos Zisis and Bradley Wanamaker, they have players that can make a difference. There will be a lot of expectation on Darius Miller and if he has a strong performance, the platform may be built for the hosts to take this game. The crowd will be fully behind the team from Bamberg but in the Euroleague, it takes more than noise and support to win a game. Maccabi are bolstered by the presence of Trevor Mbakwe, who was in the Bamberg side last season as they clinched a German league title. The Maccabi frontcourt is packed full of talent and alongside Mbakwe you have players like Brian Randle, fit again, Dragan Bender, Ike Ofogebu and Arinze Onuaku. The Maccabi offense is likely to be run through Devin Smith and if he performs in the way that we all know that he can, this could be a brilliant chance for Maccabi to grab a strong away win. With a 1-2 record, they’ll be keen to move away from the bottom half of the group. The close nature of the game is reflected in the odds. 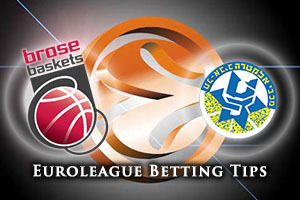 You can find Brose Baskets Bamberg with a handicap of +1, at odds of 1.90, in this game, and this could be a good bet for Thursday night. For the Over/Under market, go UNDER 154.5, at odds of 1.90, in this one. Bet Now!